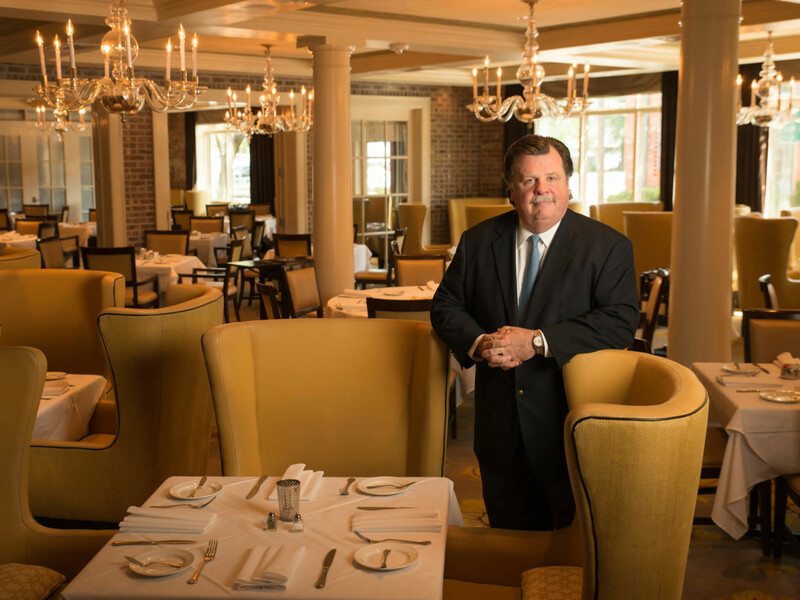 Alex Brennan-Martin is generally a jovial man who sets a legendary standard for hospitality at Brennan’s of Houston, the acclaimed Creole restaurant he owns and operates with his family, but he’s incredibly serious about not referring to the celebrations surrounding the year the restaurant opened as an anniversary. And yet, at a time when so few restaurants last five or even 10 years, to remain both successful and relevant for so long surely deserves some acknowledgment. On March 5, Brennan’s will celebrate the day 50 years ago when it opened its doors with a special dinner featuring original menu items at their original prices. On March 25, the restaurant will host a throwback brunch and screen the documentary about Ella Brennan, Commanding the Table. Throughout the year, the restaurant will host special cooking classes, wine dinners, and other events to celebrate its history. Most importantly, Brennan-Martin wants anyone who’s celebrated a special occasion at the restaurant to share pictures, menus, and other memories. Sadly, the restaurant lost some of those artifacts when it suffered a fire during Hurricane Ike, so the proprietor hopes his customers can fill in some of the gaps. Additionally, former employees are invited to return for their own celebrations. Brennan’s has served as the training ground for generations of Houston chefs, and many of the city’s best restaurant boast its alumni. 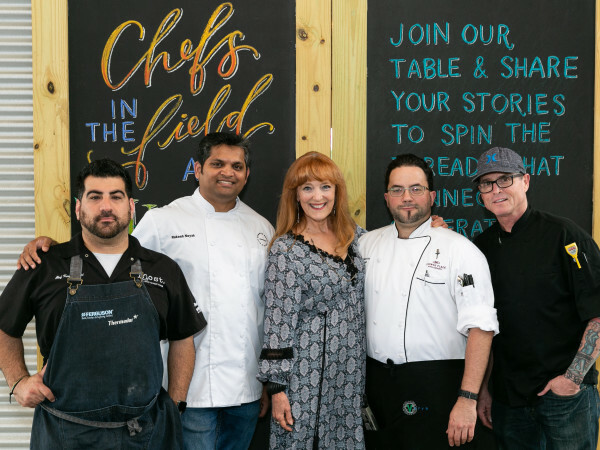 The roster includes: Chris Shepherd (Underbelly/One Fifth), Mark Holley (Holley’s), Mark Cox (Mark’s), Randy Evans (H-E-B), Lance Fegen (Liberty Kitchen), Jamie Zelko (Ivy & James at Evelyn’s Park), Bobby Matos (State of Grace), Joe Cervantez (Killen’s Steakhouse), Patrick Feges (Southern Goods), Sean Hochstein (Grotto downtown), and countless others. 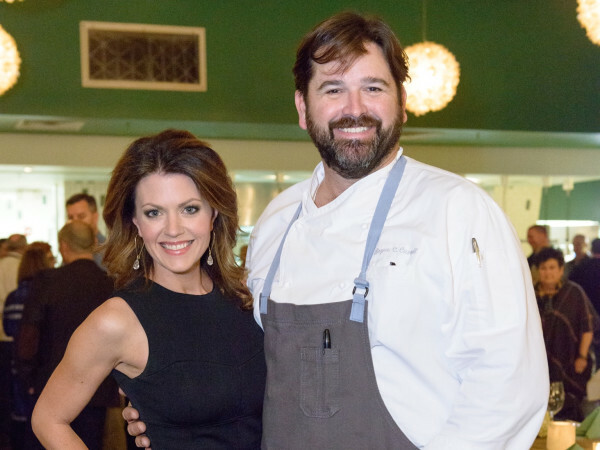 Whether or not one calls these celebrations an "anniversary," the occasion provided an opportunity to catch up with Brennan-Martin about how a restaurant stays relevant for 50 years, why Brennan's is Houston's unofficial chef training academy, and what the future holds. CultureMap: The last time I saw you, you were skeptical of this whole 50th anniversary thing. Alex Brennan-Martin: I still am. CM: Why don’t you want to celebrate this? Or what about it makes you uncomfortable? ABM: I go back to my wonderful Aunt Adelaide, my wonderful godmother, had a tremendous amount of wisdom in her life. A lady never tells her age, but more importantly, she, along with my mother and my aunts and uncles, they beat into me (that) you’re only as good as the next customer you serve. Don’t look back. Look ahead. I’ve spent my entire career doing that. I just believe that. I absolutely love my tradition. I absolutely adore the history of my family. I know how lucky I am to come from that. I understand the advantage that it is. I don’t minimize it in the least, and I know I’m only as good as the next customer I’m going to serve. CM: How do you avoid becoming complacent when the restaurant remains so popular? ABM: Again, it’s been drilled and beaten into me. I remember working in the restaurant, watching my mother and watching my uncles. They would taste the turtle soup every day. They would taste the remoulade sauce every day. Those are things that I do. We focus on one thing, and that is creating great memories for our guests. It sounds very simple. It sounds very trite. But it’s a very powerful thing to get a lot of people on the same message, believing the same thing. If the guys wearing white, if the folks wearing the server uniform, if everyone in support believes they’re here to create a memory for, then they’re going to approach their job a little differently. How do I avoid becoming complacent? My job is that I’m keeper of that flame. I help our staff, I help people at other restaurants understand why their jobs matter. The gift of giving a great memory to another human being. And it’s fun. I’m not pulling people’s teeth. I’m not telling people they have to cut a big check to the IRS. Let’s just face facts. It’s fun. There are days when things don’t go well, and the air conditioning doesn’t work. There are trying days to be sure, but, by and large, we get to have a lot of fun. I enjoy food and wine. I have been obsessed with the subject since I was a little kid. I get to tinker around with something that I really enjoy. But most of all, it’s about the people. It comes back to Southern hospitality. If you have a core, central belief in your work life and your life, then you don’t become complacent. It’s something you believe. CM: Brennan’s has emerged as a training ground for a number of chefs who now work in great restaurants all over the city. What do you think it is about the culture that promotes that? ABM: I think it’s the exact same thing as at Commander’s in New Orleans. I don’t think it’s an accident. It’s the culture that we’ve tried to develop over the years. Some people liken us to a teaching hospital. We love what we do. We try to share our profession. We don’t hide anything. Our recipes are open books. Our methodology is an open book. A long time ago I had this real problem employee. He was one of these human beings with a tremendous amount of potential, and I was a relatively young manager at the time. I was in my 30s. Completely confounded and frustrated and really had about it. Finally, I just said, we are just trying to be the place where you can be your best, where you can become who you want to be. If that doesn’t float your boat, if you can’t watch someone turn on, and it’s contagious. I’m not saying we don’t have problems and we don’t have bad days and we don’t have bad apples. If you’re in there mixing it up with people, if you get to the point where people believe that you have their best interests at heart, and they understand this is not an Oprah Winfrey, kum-ba-yah kind of deal, but that it makes good business sense. I think that catches over time. People who want to get ahead in the business understand they have to pull a stint at Brennan’s. CM: How do balance keeping things classic and traditional with letting your chef put his stamp on the place? ABM: If you took our menu today and went back — and we lost so many in the fire. One of the things I hope is people will share old menus with us — people think, oh gosh, Brennan’s is doing the same things it used to. If you go back and look at the menu, we’re really not. Today’s classics are not anywhere near what the original classics were. There are a few like turtle soup and shrimp remoulade, but even our remoulade sauce evolves. It’s a variation of a sauce I learned while living in the south of France. It was sort of a version of a vegetable aioli. We took mayonnaise with a little mustard and ketchup in it to a revitalized, vegetable-centric, mayonnaise-based sauce. Even our remoulade sauce is several generations ahead of classic remoulade sauce. My sister has an expression that my mother used once: a fanatical execution of the basics. But that doesn’t mean you do the basics the same forever. Remoulade sauce is still at its heart a mayonnaise, but along comes the Cuisinart. That changed things. Along comes sous vide. That changed the possibility of a lot of things. We’re always updating and tinkering. Not for the sake of tinkering, but can we make a basic better? There’s nothing I love more than to take a classic dish and evolve it, bring it into more current terms. We’ll do that from time to time. CM: How has the restaurant evolved with Danny Trace in the kitchen? ABM: Danny has been with our family for a long time in a number of different positions. He has a long tenure with our family, so when I throw out a name like a steak Stanley (an original dish from 1967) . . . he knows from what we’re talking about. Over the years, we’ve done it for one reason or another. At the same time, he’s younger than Carl and I, and he has a different sensibility. He has a different exposure. Every chef that I’ve had over time I’ve learned from more from them than they’ve learned from me. That’s certainly true of Danny as well. Danny’s talent, he’s got this great personality that people love, he has the ability to take that personality and translate it into what people want, especially at our kitchen table. CM: Do you have a sense of what the next five or 10 years looks like? ABM: We have some exciting plans. Can’t, unfortunately, do to real honest-to-God constraints, talk about it. We have some interesting things. You’ll likely see us doing something more around here. I haven’t done things in this city over the past number of years, because real estate has become over-heated. I couldn’t make money on paper, so I didn’t jump into it. I’ve become alarmed and shocked at the rate of restaurants closings. Restaurants that were the hottest thing a couple of years ago are gone. It’s alarming. Then I look at some of these mega developments, and I’ve looked long and hard to try to see if I could understand if the cost of what they are asking, which is what they need to ask for the price of their development, is justified by the increased sales. For some places, you see these remarkable TABC sales. I’m not a clubby kind of guy. I’m not speaking ill of that in any way; I just don’t think people are going to think of a restaurant I open in that way. Looking at some of those places, I’ve come to the conclusion I’ll wait to see if that cools off a little bit. I’d rather own the real estate. I’m more of that kind of guy. I may not be able to, always. We have some things we’re excited about. We had to delay an announcement that would have been made, just because of the real estate market. I’m just a partner in that. Brennan's of Houston, 3300 Smith Street. Portions of this interview have been edited for length and clarity.